The person next door spends an average of $121 a month. On average, Bay Staters are paying $2,102 every month on homeownership costs. There are 3 million homes in the Bay State, 62% of which are occupied by owners. The average premium amount was sourced from the latest data of the Insurance Information Institute, and the statistical data from the U.S. Census Bureau. Enter Zip Code To Find The Best Deals In Your Area. Boston and Cambridge are among the most desirable places to live in Massachusetts, known for great schools, beautiful nature and a booming job industry. Massachusetts is a northeastern U.S. state in New England named after a tribe. Like many other states, MA is familiar with devastating natural disasters such as hurricanes, storms, and wildfires. In 2011, Hurricane Irene became the reason for severe damages in 14 states of the US, including Massachusetts. According to Wikipedia, damage estimates throughout affected areas in the U.S. totalled to about $13.5 billion, marking Hurricane Irene as one of the most expensive hurricanes to ever hit the country. In particular to MA, most of the damage was seen in Western Massachusetts and Hill Towns. When disaster strikes, your home or business will face a lot of trouble and damages, and you would have to spend your savings to recover from such disasters. In this state, you can be affected by brutal winters, storms, floods caused by hurricanes and wildfires. Therefore, you need to get proper coverage for the damages you may face due to the extreme weather conditions. There are many top-rated companies providing coverage for damages caused by floods or wildfires, so to ensure that you are getting the best deal around, shop around and compare quotes from different providers. Our free online tool will help you by providing a list of home insurers in your area. To learn more about premiums in MA, keep reading below. We gathered the mean home insurance premiums from data recorded by Insurance Information Institute (III). In 2016 (latest available data), the average premium rate in Massachusetts was $1,451 annually, which translates to $121 every month. There is a difference of $259 between the national average of $1,192, landing Massachusetts the 9th spot for most expensive home insurance premiums across all 51 states. These rates can differ according to the value of your property, age of your home, area or location of your property, and the amount of coverage you require. Homeowners insurance is more commonly regulated in Massachusetts than any other state in the US. As a Massachusetts homeowner, you understand there are four seasons with various weather conditions. These conditions at times can be so extreme that you stand to lose your home which you have invested so much on. However, this does not render you helpless. Home insurance covers many catastrophes that might strike your home like tornadoes, fire, and burglary. The cover pays for: repairs that your home may need, injuries to anyone else who might have suffered from the damage, the effects to other properties during the damage and even temporary residence, if need be. With insurance, you will live all year long without fear of the fluctuating conditions. Source: The annual average premiums came from the Insurance Information Institute's latest recorded data. We calculate the estimated monthly insurance costs based on the data provided. According to Massachusetts’ official government site, the state is likely to experience tropical storms and hurricanes, urging residents, tourists and businesses to prepare accordingly. People living and working in hurricane evacuation zones are encouraged to have an emergency plan. Hurricane and tropical cyclone season in MA usually happens from late August to September. Due to this and many other factors such as heavy snowfalls in winters, a unique homeowners insurance market has been created in the state. Following are the leading companies in Massachusetts, based on III’s table of top 10 insurers in written direct premiums and market share holdings. Their ratings by AM Best, S&P, and JD Power have also been mentioned below, to give a clear picture of the company’s financial backing and customer satisfaction history. We are not able to review all of the companies in MA that offer home insurance, therefore, it’s worth digging deeper into additional companies to find great coverage and the best deal for you and your home. The headquarters of MAPFRE Insurance is in Webster, Massachusetts, and it was founded in 1972. This company was started as Commerce Group but was acquired by MAPFRE in 2008. This company has the largest homeowners insurance market share in MA with a 13.5 percent share. MAPFRE received an A (Excellent) from AM Best for its solid financial strength and received 3 (About average) out of 5 Power Circle Ratings from JD Power. The ratings predict that MAPFRE is financially stable and can pay all the bills at your time of need. The add-on feature that you will like about this company is its extended replacement cost. Hence, when the value of repairs and maintenance increase after severe storms or floods, it will not bother you when the prices are comparatively higher for building materials due to increased demand. This company offers you to choose from Commerce and Citation policies. Commerce policies are the standard ones, while Citation policies are for preferred customers. Commerce policyholders can get up to 20% off on their premiums when they bundle home and auto insurance. MAPFRE has a very user-friendly website with an emergency contact that works 24/7. This company has been serving its customers since 1912, and its headquarters is in Boston, Massachusetts. It scored a rating of A (Excellent) from AM Best and an A (Strong) from S&P. Furthermore, the JD Power survey shows its overall customer satisfaction got a score of 3 (About average) out of 5 Power Circle Ratings. In 2017, Liberty Mutual had a 10.6 percent market share in MA’s home insurance scene. Liberty Mutual offers many discounts along with insurance policies which can save you a lot on premiums. This company provides discounts if you have protective devices installed in your home, if you have purchased a new house or if you go for bundle offers like home and auto policies together. Along with coverage for your property, you can have add-on protection for your valuables, water backup, and inflation protection. You can buy policies from Liberty Mutual online, but for that purpose, you must know certain details about your home like its construction and renovation. Filing a claim with this company is as simple as buying an online service. 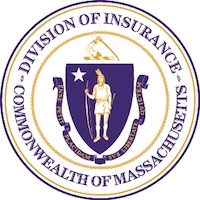 Safety is the third largest insurance provider in Massachusetts with a 7.2 percent home insurance market share. This company was founded in 1979 in Boston, Massachusetts. Although JD Power has not rated this company, AM Best gives it an A (Excellent) for displaying strong financials. There is no option to obtain online quotes, so you would have to go to call an agent to help guide you through the rates, policies and coverage you can have. You can be eligible for the discounts by installing burglar, fire and smoke alarms, by bundling auto and home insurance and via e-payments. Homeowners can choose any of the companies mentioned above to cover their properties as per their requirements, but you will need an agent to get a quote as most of these companies don’t sell policies online. It’s to note here, that an insurer we did not mention may also provide you with great coverage. One thing to keep in mind is that flood insurance is not included in most standard insurance policies. There is an option to sign up for it separately through the National Flood Insurance Program (NFIP). If you are having trouble finding coverage for your property in areas which are more prone to disasters, you can go for the FAIR Plan from the Massachusetts Property Insurance Underwriting Association (MPIUA) which is a non-profit organization. Once you get coverage for your home, you are automatically assigned a local agent who understands your policy. This agent will explain to you what your policy covers, as well as the claims you can make under this policy. The agent is also well equipped with tools and resources to help you understand the possible preventive practices available. The agent being from your local area, you will be able to access them quickly and ask any questions that will be bothering you. Most homes have a standard insurance cover. The policy covers your home, family and your belongings. A Massachusetts insurance cover gives you an option for an additional cover. Under this option, you can choose to protect other valuables that you deem necessary. Examples of properties you can include are your garden, musical instruments, and sports equipment. This discount is an automatic way of saving. As a new customer, you are given up to 10% discount on your home insurance premium. Even though this applies to the first two years of being insured, it is a great way of saving right from the start. Do not wait until your current cover expires. Sign up for a new policy before the new one expires. This way can save you up to 10% of the total premium. As much as insurance can shoulder your loses, you can as well do something on your side. Ensure you take some initiatives to secure your home on your own. You can install theft cameras or some fire safety devices. By adopting these actions, you have potential to save up to 15% of your home insurance premium. When you pay from your savings account, you will save up to 5%. Setting up automatic payments will also see you keep the same percentage in your pocket. In addition to saving some money, it is also convenient. Massachusetts home insurance premiums are on the higher end, so it makes sense to shop around to find the cheapest rates. 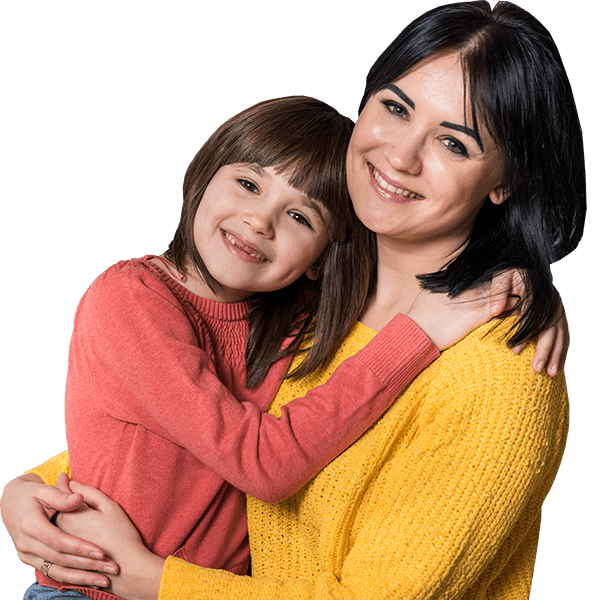 If you put in the time to do research and compare quotes, along with finding out money saving tips and discounts, it's possible to find affordable coverage in MA. ​Does homeowners insurance cover roof leaks? ​How does my dog affect my premium?